Removing snow can feel like a never ending task at times, especially as of late when we have had back to back days of snowstorms and heavy snowfall across Ottawa, Orleans and Kanata. If you are doing most of your snow removal by shovel then you may be interested in purchasing a snow blower. We have some great articles to help you choose the right snowblower. If you are fortunate enough to have a snowblower for your snow removal in Ottawa then you will appreciate how a snowblower can save you hours of time and labour. In order to keep your snow removal rolling smoothly it is important to keep up with regular snow blower tuneups and maintenance. So how much does a snow blower tuneup cost? Not as much as replacing a broken snow blower that’s for sure. Snow blower tuneups do range in price although they are very affordable and increase the longevity of your snowblower equipment. Just like with cars, small engines require tuneups and minor repairs for proper functioning as time goes on – especially during periods of heavy use. 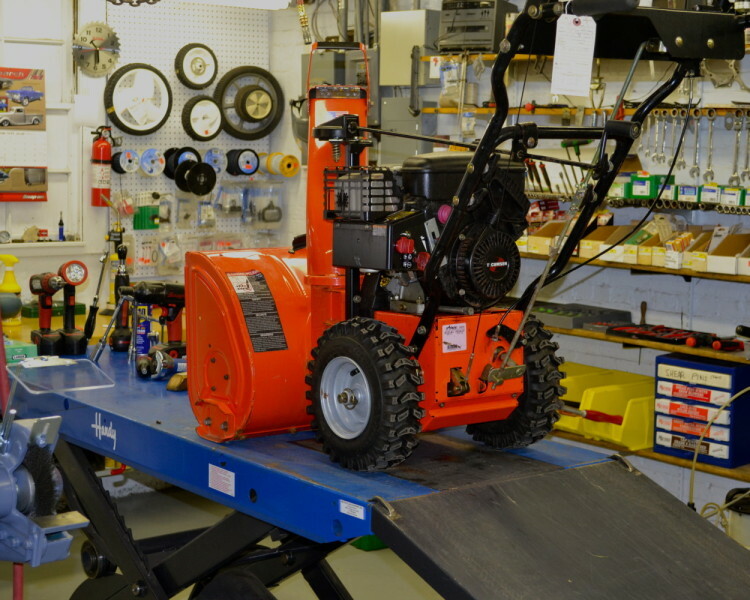 While prices vary as well as the level of service, you can expect the service to come in between $150-$200 (this includes mobile fee, shop supply fee, tune up parts and labour) depending on the work that needs to be done and the state of your snowblower. Regular tuneups will mean less costly visits as the frequent maintenance keeps the snow blower in better condition. Plus you will have the peace of mind knowing that your trusty snow removal small engine will be ready to clear your driveway day or night anytime you need it. An annual snow blower tuneup in Ottawa helps ensure your snowblower is functioning correctly and efficiently when you need to remove all that white stuff! Plus during your snow blower tune up our small engine mechanic can give you an overall evaluation of how well your snowblower is performing and notify you of any potential upcoming repairs that you should plan for in the future. Schedule your small engine tune up by early fall, and you’ll be ready for winter with a freshly cleaned and properly tuned snow blower.